Just pair this wonderful wine bottle topper with a bottle of your favorite wine and its ready for giving! It is the perfect hostess gift for those many holiday parties you'll be attending. 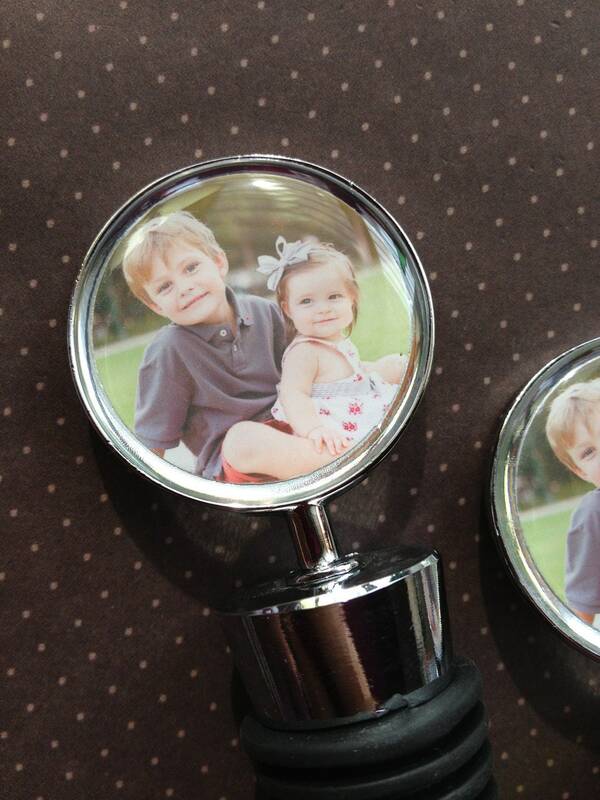 Don't have a photo of your friend, don't worry... these look perfect with just a monogram or name! These also make a great wedding gift for a new couple or anniversary gift for a long time couple! This topper is one sided, the back is smooth metal! You can add an additional image to the back for an additional fee... contact me for pricing based on your quantity. Please email photo(s) after purchase to info@ jYOUlry.com If you would like me to work on a custom design for you, please convo me to check my availability at time of purchase. This is a Free service! Customized exactly as requested, thanks!